MILWAUKEE (October 18, 2018) – Johnson Controls has added two new appliances to its video security products portfolio: Tyco Analytics Appliance and Tyco Transcoder. When added to existing IP recorders, the hardware offloads video processing from network video recorders, increasing system capabilities without overhauling the infrastructure. 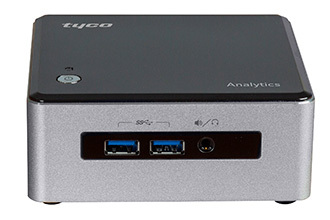 The Tyco Analytics Appliance adds up to 16 useable analytic channels beyond what is available on the network video recorder, reducing NVR CPU usage and resulting in increased performance. The added resource increases business intelligence and revenue opportunities, and also features an analytics overlay, live people counter, and analytics dashboard for streamlined viewing. For more information on these appliances, please visit www.americandynamics.net.